"Weird/Fun Holidays" Calendar! You can see that calendar HERE! The day I am representing is "Candy Corn Day" which is on October 30th this year! 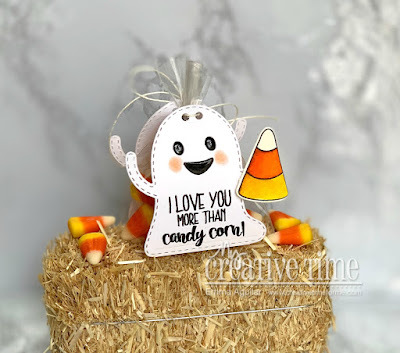 I thought I would use this ADORABLE Ghost Lollipop Holder Die to put the candy corn candy inside! I REALLY LOVE how it turned out! You can see in my video below how I created this! Good Morning Miss Emma...OMG Your Little Miss Ghosty is Adorable and WOW how awesome does your Lollipop Holder work with a treat bag....and what a presentation with all your faBOOlous Creative ideas using your SPOOKTACULAR Goodies!! Great coloring job...your candy corn looks so real!! Your Lollipop*treat holder* iS WICKED AWESOME You sure did a FABOOLOUS Creative job! Here's to you having a Tremendously Terrific Tuesday!! YOU so ROCK!! 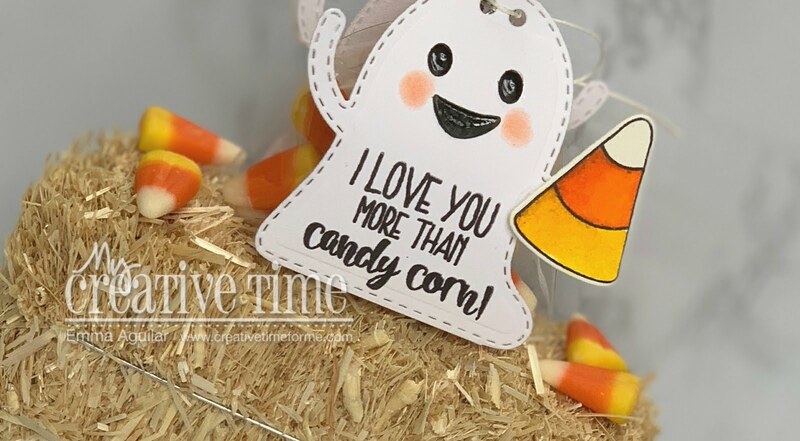 Your little candy corn ghost is SO CUTE!!! Emma, that is adorable. What a cute little ghost. Hi Emma, this little ghostie is soooo sweet with the candy corns in it! :) Make it a great day! 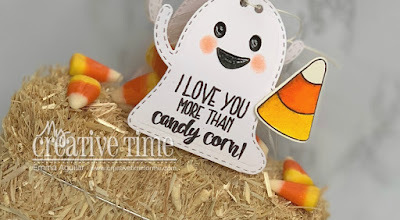 I love your idea to have the cute ghost holding a candy corn! 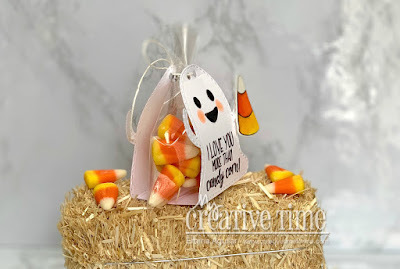 What a sweet way to give some fun candy corn. 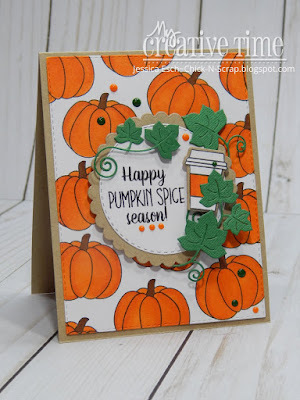 Your DT did a great job on some fun cards...loved the z-fold and coffee day. Hope you have had your pumpkin spice!